Enjoy the benefits of a compact SUV without the new car price in the Jacksonville area. A used Chevy Equinox offers great savings and everything Orange Park families love about compact SUVs. Browse our used Chevy Equinox models below, and contact us for a test drive if you find a configuration of the Equinox that speaks to you! CARFAX One-Owner. Clean CARFAX. PRISTINE CONDITION, GPS / NAVI / NAVIGATION, SUNROOF / MOONROOF / ROOF, Leather, Bluetooth Handsfree, NO ACCIDENTS ON CARFAX REPORT, Rear View Camera, LEATHER, One Owner, NONSmoker, Local Trade, MUST SEE!, Fresh Oil Change, Passed Dealership Inspection, Freshly Detailed, MINT CONDITION, EXCELLENT CONDITION, EVERY OPTION ON THIS PRISTINE PREMIER EQUINOX ,OWNED BY MR AND MRS OLD,NOW FEATURED BY THE BEST USED CAR TOYOTA DEALERSHIP IN THE MARKET! !THE PLACE AND ONLY PLACE TO BUY YOUR NEXT USED CAR! !WE OFFER YOU THE BEST ,WE MAKE SURE EVERY USED CAR IS SERVICED TO PERFECTION AND MANICURED DETAILEDSO THAT YOU AND YOUR FAMILY WIL DRIVE THE SAFEST USED CAR IN THE MARKET!!. 21/31 City/Highway MPG Silver 2017 Chevrolet Equinox Premier FWD 2.4L 4-Cylinder SIDI DOHC VVT Awards: * 2017 KBB.com 10 Most Awarded Brands Silver 2017 Beaver Chevrolet Equinox Premier is a 4D Sport Utility FWD . This Florida SUV has a 2.4L 4-Cylinder SIDI DOHC VVT engine. Call right now and schedule a test drive. 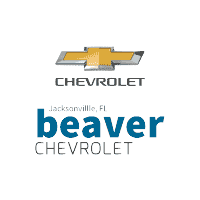 Ask for stock number M245914A, the Florida 2017 Beaver Chevrolet Equinox . Shop Us Online at www.beavertoyotastaugustine.com. Serving Jacksonville, Palm Coast, Daytona, Gainesville and St Augustine. Beaver Toyota St Augustine on 2995 US Hwy 1 South in St Augustine. Why Buy a Used Equinox from Beaver Chevrolet? When you are ready to take the Chevrolet Equinox home to Ponte Vedra, our financing department can help you choose the right financing options, so you can enjoy all the Chevy Equinox has to offer at a price you can afford.